The naira, yesterday, depreciated to N360 per dollar in the Nigerian Autonomous Foreign Exchange, NAFEX, just as the Central Bank of Nigeria, CBN plans to sell N130.4 billion treasury bills next month. Data from the Financial Market Dealers Quote, FMDQ, yesterday, showed that the indicative Exchange Rate for the Investor and Export ,(I & E ) Window, known as Nigerian Autonomous Foreign Exchange, NAFEX, depreciated marginally by 11 kobo to N360 per dollar from N359.89 per dollar recorded on Wednesday, even as the volume of dollars traded remained unchanged at $250.29 million. 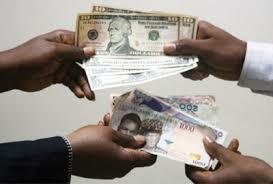 Meanwhile, naira further appreciated in the parallel market to N365 per dollar from N366 per dollar recorded on Wednesday, indicating the third day of consecutive appreciation of the naira against the dollar this week. Meanwhile, the Central Bank of Nigeria (CBN), yesterday, revealed plans to commence sales of N130.4 billion worth of treasury bills (T-bills) at an auction on the 4th of October 2017.